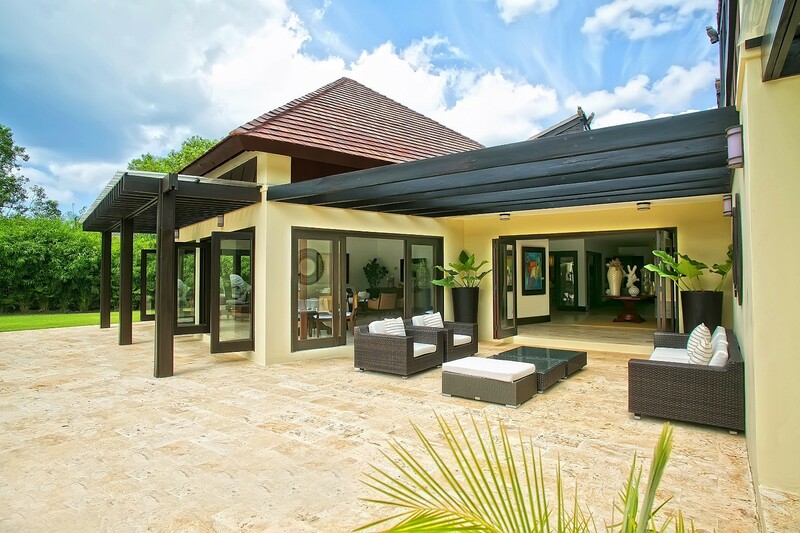 Villa Lienzo Casa de Campo Dominican Republic. Have you been seeking a family-friendly Caribbean destination that also offers resort-like services and amenities for adults? 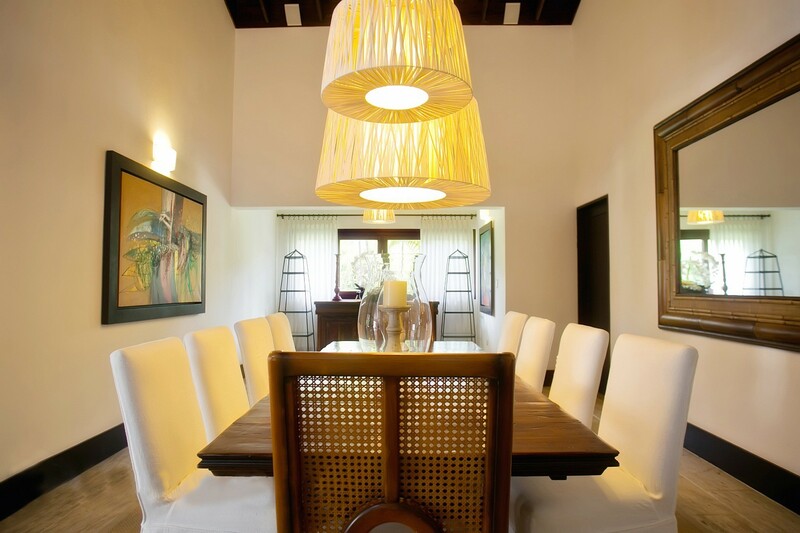 If so, the amazing Villa Lienzo is for you. 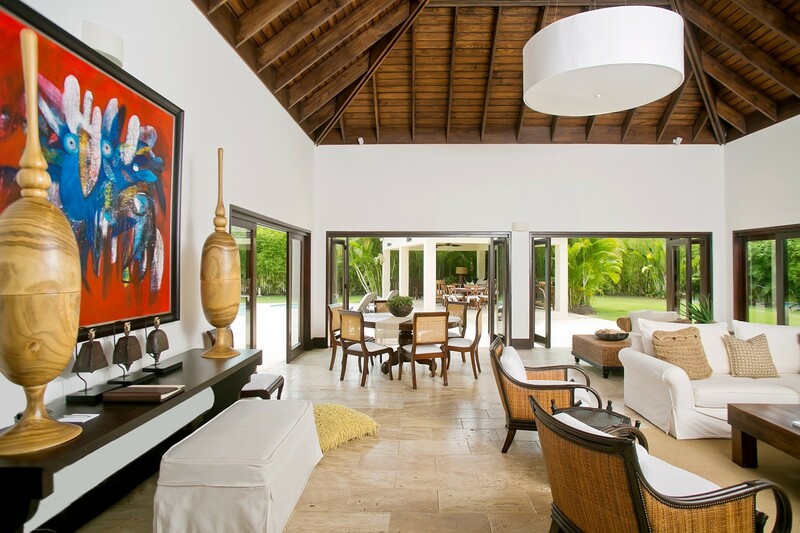 This five-bedroom villa is part of the world-class Casa de Campo Resort in the Dominican Republic, and has been designed with children and adults in mind. You will know this the moment you step into your private backyard. Screened by a row of mature palms and native trees, it offers a broad expanse of velvety lawn that frames a stunning stone pool terrace. With a sun deck furnished with oversized lounges, and a separate spa tub, this area also has a playground and trampoline too. 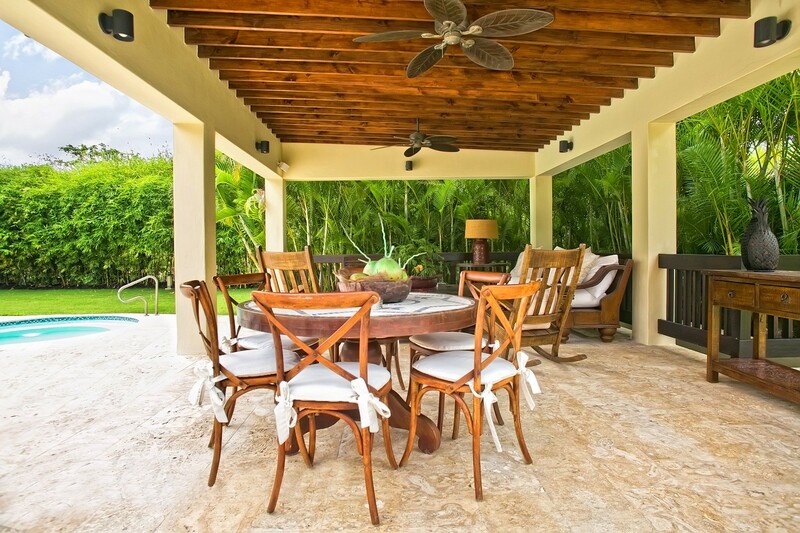 The outdoor living spaces include full lounging areas as well. One is found beneath the gazebo, where al fresco dining is also an option. Another is below the pergola outside of the foyer. Just inside, there is more formal living areas that include the beautiful living room with its impressive art, neutral palette created by the use of natural materials and oversized furnishings. A casual dining spot is within the great room, but there is also a formal dining room just off the large, gourmet kitchen. 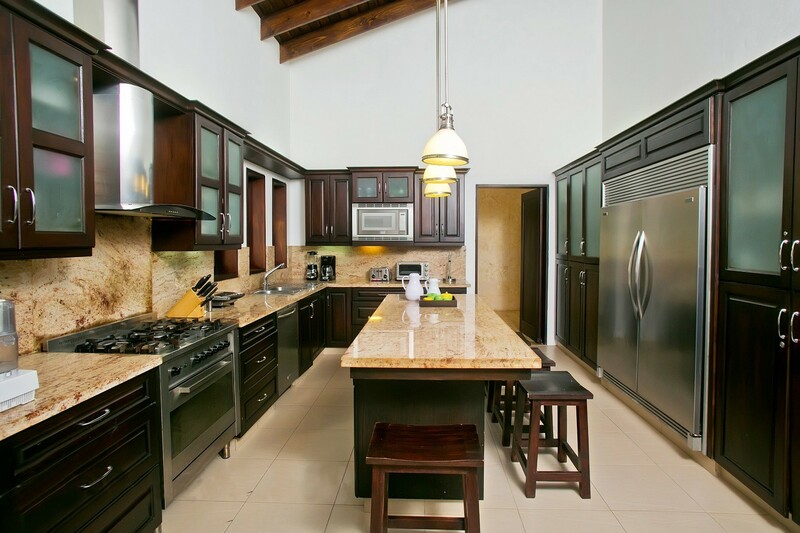 With its massive island suitable for casual dining, it is a fun place to gather and make meals using the luxury appliances. Daily breakfast is served in the villa, and you also enjoy the services of your private housekeeper, a butler and the resort concierge. 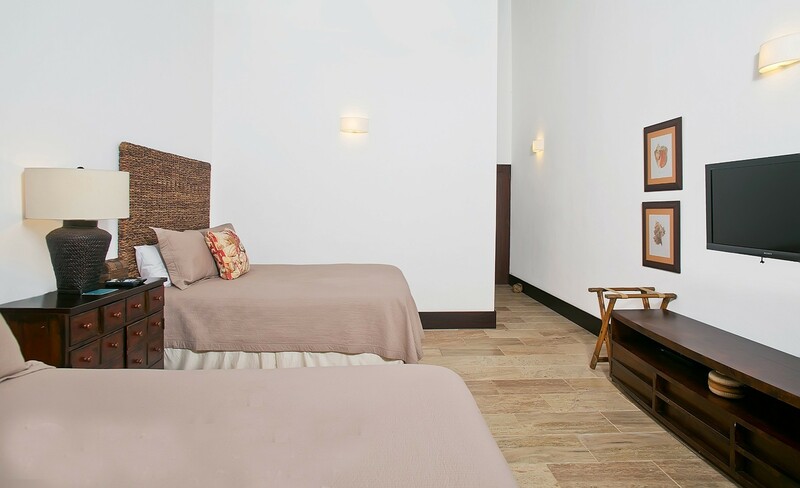 The bedrooms are also retreat-like spaces offering all you would need for hours of relaxation and rejuvenation. Two of them are master suites with enormous baths and high-end entertainment systems. 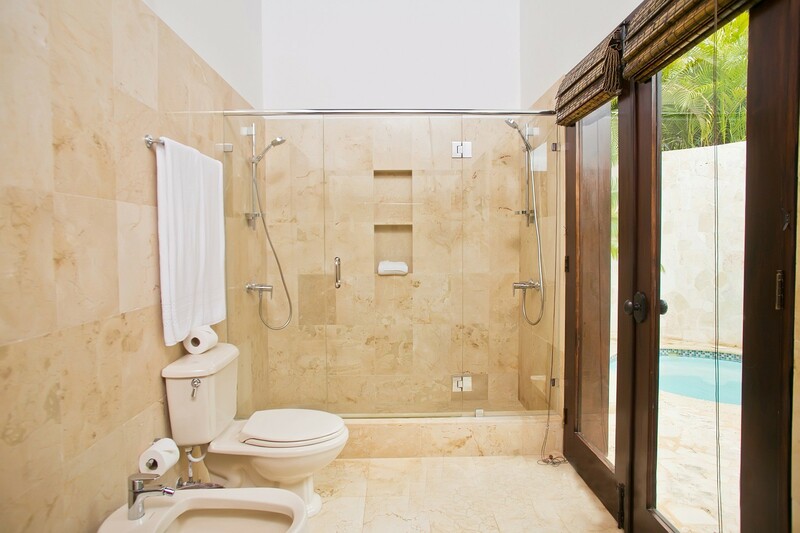 The remaining suites include the same entertainment systems and private baths, but feature two double beds. 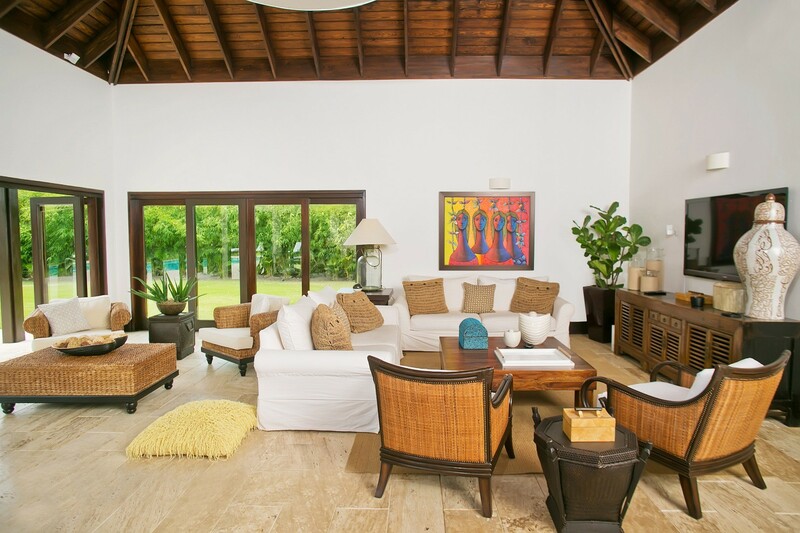 The Villa Lienzo is a rare find, offering resort access, a luxurious setting, and all your kids will need to enjoy their holiday. 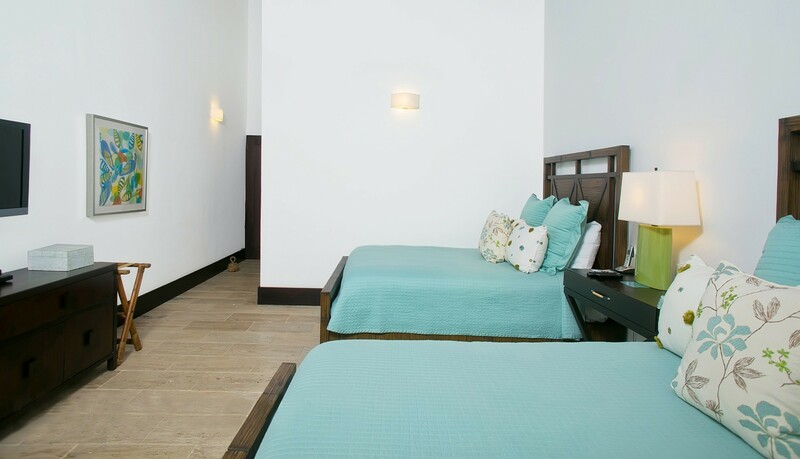 Bedroom 1&2: Master bedroom with a king-size bed, AC, plasma TV, ample closet and en-suite bathroom with shower, vanity and WC. 2 guests maximum. Bedroom 3-5: Bedroom with two double beds, AC, plasma TV, ample closet and en-suite bathroom with shower, vanity and WC. 2 guests maximum. Lienzo is offering 33% off for travel between April 21, 2019 and October 31, 2019.